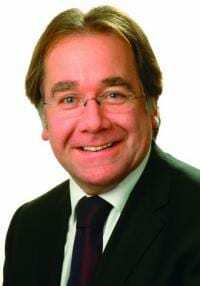 New Zealand’s Foreign Minister Murray McCully has addressed the United Nations Security Council’s open debate on the Middle East. “Right across the Middle East, grave issues continue to demand this Council’s attention. The humanitarian situation in Yemen continues to deteriorate. The civil war in Syria rages on. In Iraq, sectarian divides provide space for groups like ISIL to prosper. A basis for lasting peace between Israelis and Palestinians remains elusive. Against this difficult background it is only right that this week we should pause to reflect on positive developments in the region. The adoption by this Council on Monday of resolution 2231, following years of negotiation between the permanent members, the European Union and Germany, and Iran, represents a major victory for diplomacy. While much work remains to implement the agreement, and even more to build the sustained trust between Iran and the international community, getting an agreement at all represents a huge achievement, and reflects great credit on those most directly involved. At the heart of this diplomatic achievement has been a willingness by the parties to commit to political solutions, and to exercise political courage in the face of significant challenges. The question now is whether we can expect to see the same political courage and the same commitment to political solutions brought to the other issues that afflict the region. Can we see stakeholders cooperate to end the conflicts in Syria, Iraq or Yemen? Can key stakeholders cooperate to create a pathway towards a two state solution for Israel and Palestine? I believe the answers must be yes. But the burden of these expectations must not sit with those nations alone. This Council must face up to its responsibilities, and it must show some political courage of its own. We all know that the situation in Syria has remained deadlocked for too long. The region cannot afford for the conflict to continue. Nor can the Council – its credibility is at stake. The humanitarian cost of the conflict is unacceptable and unsustainable. We welcome the Special Envoy’s efforts and look forward to hearing more from him next week. But New Zealand’s view is that the Secretary General’s good offices alone cannot broker a political solution in Syria – key players in the region, as well as those on this Council, need to recognise their responsibilities to broker a political solution to the crisis in Syria. In Yemen, the humanitarian situation continues to deteriorate alarmingly. The failure of the UN-convened talks in Geneva to achieve agreement, followed by the failure of the recent humanitarian pause, have immediate impacts and they risk undermining the Council’s confidence in the commitment of the parties to reach a political solution. Again, we look forward to hearing from Special Envoy Ahmed about prospects for progress. Above all we need a way of ensuring the fighting is stopped so that massive humanitarian needs can be addressed. We are mindful that Iraq is facing ongoing challenges on a number of fronts. We support the Secretary-General’s request for a strategic assessment of how the UN can extend support to Iraq. We believe a focus by the government on further strengthening of national reconciliation efforts is essential. In Libya, the recent initialling of the Libyan Political Agreement by the Tobruk-based Libyan Government and a significant number of Libyan factions represents an important first step in what we hope will be a long journey towards a lasting Libyan peace. We now urge all members of the Tripoli-based General National Congress (GNC) to be on the right side of history; to fully commit to the Libyan political process and initial the Agreement. For those who decline to do so, there must be consequences. New Zealand’s view on the Middle East Peace Process has been expressed in this chamber since January. We’ve made clear that the status quo is unsustainable – doing nothing is not viable. It is encouraging that the Middle East Quartet has re-engaged in capitals on this issue in recent weeks. This Council must also re-engage. New Zealand has been clear that we see a window of opportunity in the latter part of this year in which the Council should act to create a pathway back to the negotiating table and to support the parties once they are there. That time is now close. So in this month’s Middle East debate the Council can reflect on a truly significant milestone on the Iran nuclear issue – the result of patient diplomacy and a commitment by all parties to reaching a political solution to differences. We now need to see those very same qualities urgently brought to the other pressing challenges in the region.